LCBC “GET EXCITED” UPDATE: We’ve just learned that the author, Kristin Kimball, is now planning to participate at the start of each of our Twitter discussions on June 11 and 14 (see times below). Please be sure to join us, bringing your questions and well-deserved compliments. 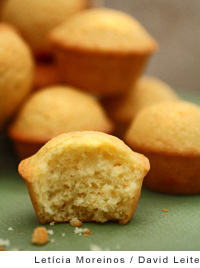 Last month we launched the Leite’s Culinaria Online Book Club, to great response. Dishing with readers about Gabrielle Hamilton’s Blood, Bones & Butter, we learned that LC book clubbers are a particularly insightful, opinionated, honest, and earnest bunch. We wouldn’t have it any other way. 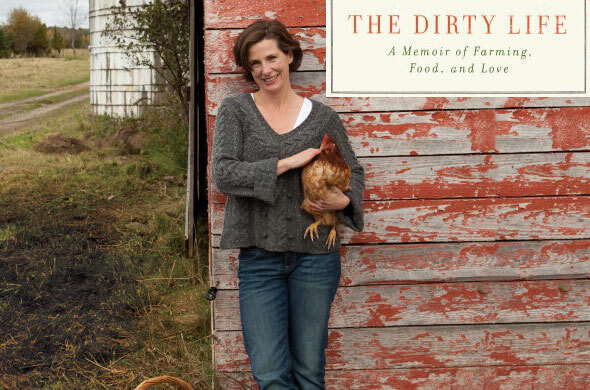 Now we’re inviting you to continue this communal reading experience with our second LC Book Club selection, The Dirty Life: A Memoir of Farming, Food, and Love by Kristin Kimball (Scribner, reprint edition, April 2011). Another true account of a woman’s search for nourishment, this book nevertheless guarantees a substantially unique view of what it means to build intimacy through food. Far from New York City’s East Village, locale of Hamilton’s restaurant world, Kimball finds a different kind of grittiness in agricultural life—a life for which she’s admittedly less than prepared. Because we can’t bear the thought of anyone missing out, for The Dirty Life we’ll hold two discussions: Saturday, June 11, from 2-4 p.m. EST and again on Tuesday, June 14, from 9-11 p.m. EST. Whichever date suits you, you’ve got plenty of time to acquire a copy of the book and start reading. The conversations will take place live via our Twitter stream @LeitesCulinaria, using the hashtag #LCBookClub. Of course, we’re more than happy to respond here, too, for those who either don’t have a Twitter account or who want to contribute thoughts in a format longer than 140 characters. If you plan on participating in this round of reading, or if you have suggestions for the club in general, please feel free to leave a comment below—we’d love to hear from you! I read the book and really enjoyed it, after hearing an interview with the author on NPR. Hope you’ll join us for the discussion. Great, Cathy. We hope you like it as much as we did. Great. Hope you’ve received the book by now and are enjoying it. Looking forward to discussing it with you later this month. I have read this book…. very entertaining as @Kristin:disqus takes you from her life in the city to the nitty gritty and I mean gritty life of rural farming in upstate NY. I highly recommend her book to everyone. Sorry for the belated response to your comment, but… we certainly hope you’ll join us when we discuss the book later this month! Thanks for stopping by.